Instant chilled water. Still, medium or sparkling. 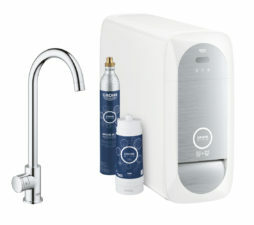 Introducing unbottled water. 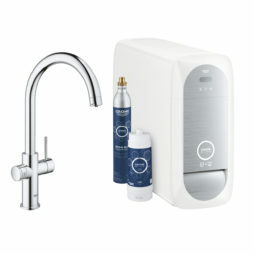 Grohe Blue Home transforms how you drink water, bringing you pure filtered water directly from a stylish kitchen tap. Your perfect glass of chilled water can be still, or sparkling – the choice is yours! 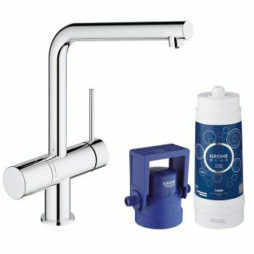 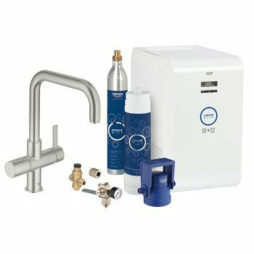 We have the full range of amazing Grohe Blue Home products, accessories and replacement filters at unbeatable prices. 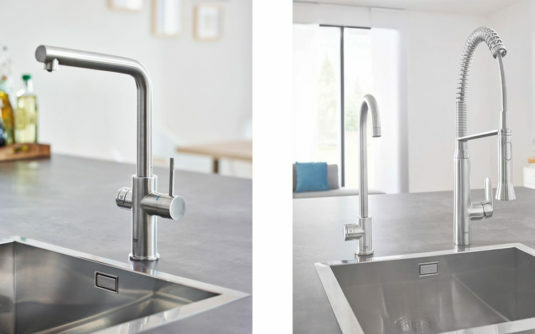 Grohe Blue Taps – choose your ideal spout shape and enjoy one kitchen tap for all your needs. The lever handle provides standard washing water, but to activate the filter, chilled or sparkling function, simply press the illuminated LED push button. Grohe Blue Mono – this is ideal when you already have a high-end kitchen tap. 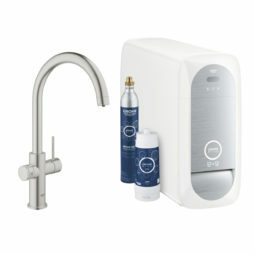 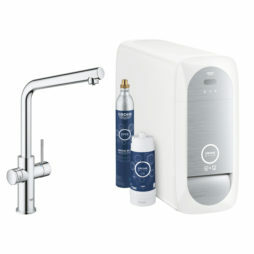 It fits perfectly alongside your existing tap to provide fresh and sparkling filtered water. 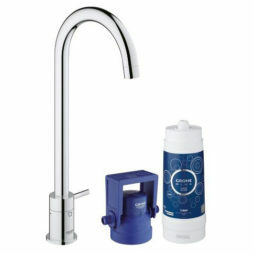 Enjoy pure thirst-quenching pleasure in every sip. 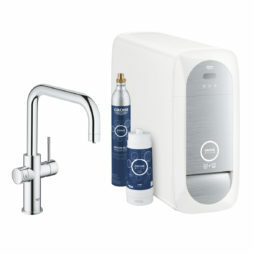 Grohe Blue Home is a beautiful and intelligent system that turns your kitchen into a meeting place for thirsty friends. The Grohe Blue Home Cooler, hidden away below your sink, lets you adjust the temperature between 5° and 10° and is where you easily insert the filter and CO2 bottle.